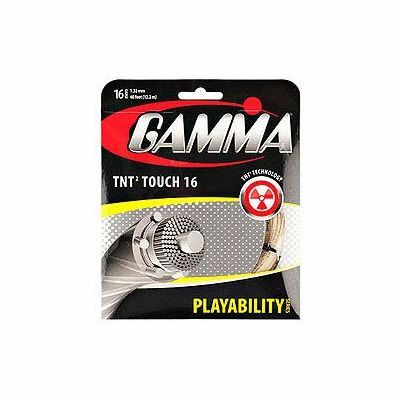 The Gamma TNT2 Touch 1.32mm tennis string set is 12.2m (40ft) long to fully re-string one racket. The TNT2 Touch is the first multifilament string manufactured using second generation Thermo Nuclear Process (TNT2) that significantly improves its performance to ensure great power without compromising on control. The TNT2 enhances dynamic elasticity and dynamic resiliency, which enables the ball to stay longer on the strings for maximum control and accuracy and ensures that more energy can be returned to the ball for more speed and power. The gauge of the string is 16 (1.32mm). for submitting product information about Gamma TNT2 Touch 1.32mm Tennis String Set We aim to answer all questions within 2-3 days. 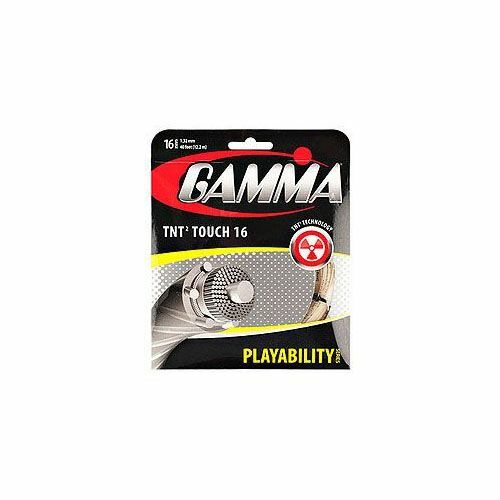 for submitting product information about Gamma TNT2 Touch 1.32mm Tennis String Set. We aim to answer all questions within 2-3 days. If you provided your name and email address, we will email you as soon as the answer is published. for submitting product review about Gamma TNT2 Touch 1.32mm Tennis String Set.